We are very passionate about providing fun, creative, and customizable tools to help our employees enhance their overall wellbeing. 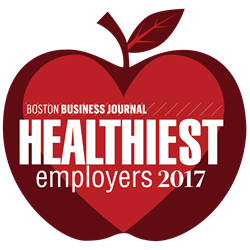 MaidPro, a residential cleaning franchise, has been named one of Boston’s Healthiest employers by Boston Business Journal. MaidPro was one of six companies selected in the small category (2–99 employees), and one of 24 winners overall. Honorees were selected based on ranking scores by the health-analytics firm Springbuk for the following categories: Leadership Commitment, Foundational Component, Strategic Planning, Marketing & Communications, Programming & Intervention, and Reporting & Analysis. This is the seventh year for the Healthiest Employers Program and marks MaidPro’s third time on the list. MaidPro’s wellness program also includes personalized training classes, healthy food options, flexible hours, nutrition coaching, and more. Earlier this year, MaidPro was named the second best place to work in Boston by Boston Business Journal and was honored by Entrepreneur as one of the nation’s Top Company Cultures. To get a free estimate for housecleaning services from MaidPro, you can visit http://www.maidpro.com. MaidPro is a Boston-based franchisor of house cleaning services with over 226 locations in 38 states, the District of Columbia, and Canada. The company, which began franchising in 1997, takes pride in its strong owner community, cutting-edge technology, and creative marketing. It has been honored with the Franchise Business Review’s Four-Star Rating and Franchise 50 awards every year from 2006 to 2017 for owner satisfaction. MaidPro was named one of the Top 50 Franchises for Minorities by USA Today’s Franchising Today. MaidPro is also a proud member of the International Franchise Association, Canadian Franchise Association, and the New England Franchise Association. The company can be found online at http://www.maidprofranchise.com.